Are you a creative, results-driven person with director-level experience who can help organisations develop in innovative new ways? In this exciting role, you could help shape the future and growth of one of the UK’s largest charities. 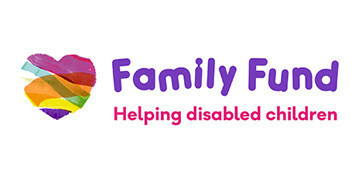 Family Fund is the UK’s largest charity providing grants for families raising disabled or seriously ill children and young people, providing 89,423 grants and services worth over £36 million to families across the UK last year. They provide grants for a wide range of items, with services that complement the grant programme , aiming to improve the wellbeing of disabled children and their families by providing important information, advice and support face to face, online and over the phone. As a member of the senior leadership team, you will work with the Group Chief Executive and other Directors to develop and deliver Family Fund’s vision and purpose. You will be specifically responsible for the delivery and ongoing development of Family Fund’s strategy in the area of stakeholder communication and engagement and UK-wide partnership development, whilst playing a leading role in sourcing new funding to enable the Family Fund to diversify and increase the sustainability and reach of its grant making and range of family services. - Provide leadership and line management to a small team of staff. In order to be considered for this opportunity you will need to demonstrate a proven track record in leading on policy and influencing, developing successful new income generation proposals, and of increasing funding across a range of income streams. You will have previous experience of working at a Director level, and possess a real strength in identifying, building, maintaining and strengthening relationships and partnerships. You will be a naturally strong communicator, adept at inspiring and encouraging others to buy into the work of Family Fund. You will be innovative, creative and able to come up with new ideas to meet challenges faced by the charity – particularly in the context of work to develop the organisation’s next three-year strategy. If you are interested in this post, please get in touch with Matt Adams on the TPP Senior Appointments team to request a full candidate information pack (via executive@tpp.co.uk), or call 0207 198 6060 for a confidential discussion.